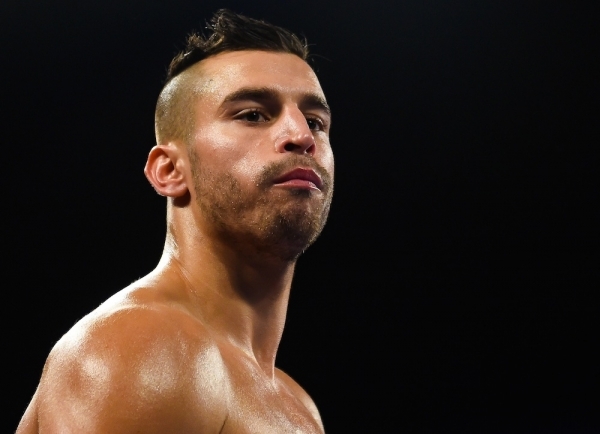 Canadian contender David Lemieux is looking to take Billy Joe Saunders to task this Saturday in his hometown, and tells his opponent that he’s going give him the hardest 12 rounds in his career, live on BT Sport 2 HD and BoxNation. Speaking on a media call on Monday, the Montreal native says he’s more than prepared to give Saunders hell in the ring to make sure he takes home the title. “He has a very, very aggressive Lemieux on his back, and I’m going to be ready. I’m extremely prepared for this fight. So, it’s not going to be easy for him. It’s actually going to be hell for him. “I’m more excited, actually, just to lay my hands on Billy Joe Saunders more than anything else. He’s got a big mouth. It’s rare I see fighters with such a big mouth. I just hope his fighting is going to come as close as his mouth on Saturday night,” he added. Lemieux has been on a roll of late, clocking four consecutive wins, including two knockouts, against Glen Tapia, Cristian Rios, Curtis Stevens and Marcos Reyes. He’s a known heavy hitter, which means traditional boxer Saunders will be weary of the dangerous Canadian. “I’m here to knock him out. I’m here to destroy him every round. It’s 12 rounds. It’s unfortunate for him, but I’m ready for 12 big rounds. I’m excited for this fight to give the fans their money’s worth and finish the year with a new WBO Title. Following a loss to Gennady Golovkin in 2015, the challenger is adamant that he is a different fighter than he was two years ago, and that it would be a different story if the two were to meet in the ring again. “I’m a whole different guy than I am facing Golovkin. I’m a whole different guy. You put Golovkin back in front of me, and it’s going to be a whole different scenario,” he added. Watch Saunders vs. Lemieux live on BT Sport 2 HD and BoxNation from 2.00am this Sunday.